I knitted a whole sweater during my finals. 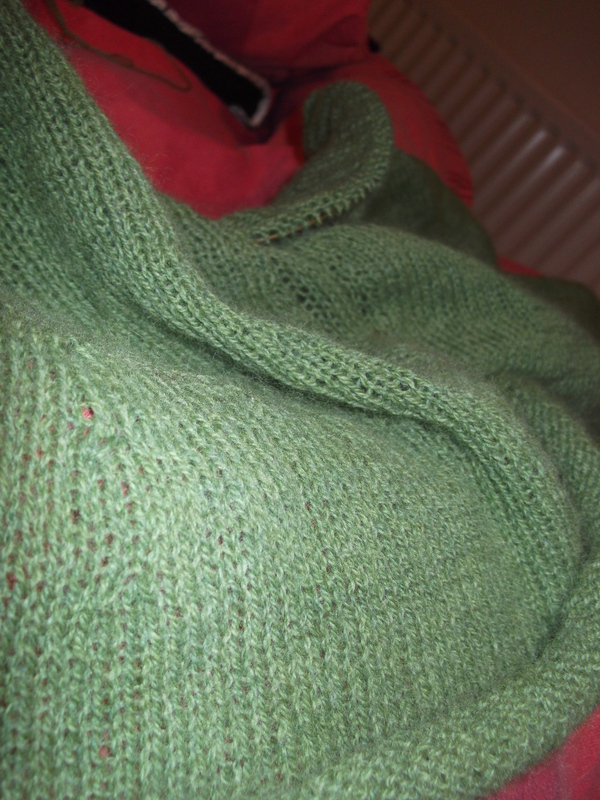 It was my most productive knitting period EVER! Good luck! And keep on knitting! Congratulations on the dissertation. You must be so relieved! You are safely on my Google Reader feed, worry not. I also enjoy seeing pictures of Knitted Things, so I do look forward to (Get Off My) Cloud. 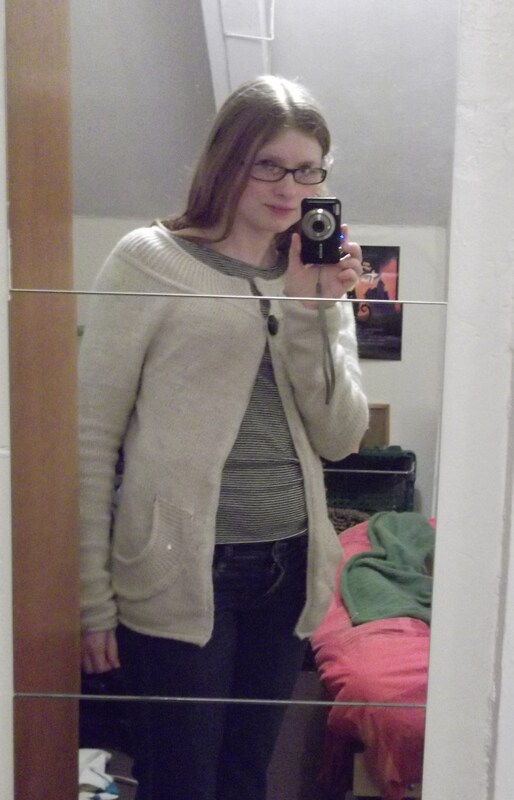 Lovely cardigan. And congrats on draft the first! Congratulations on, well, all of it – the knitting, the dissertation, still being able to tread water :). And I won’t give up hope – your posts whether sporadic or no are always wonderful :). Oh, and I find a spontaneous drop-everything weekend home works wonders if it’s getting all too much – sod other commitments, take some work (nothing too taxing) and some knitting, and get on a train. I feel immeasurably better for having just done that. Thank you all for the congratulations – unfortunately I’m back in the library this week working on the next essay! But it feels so great to have got the big one out of the way. I’d love to spontaneously drop home for a weekend, but it takes me six and a half hours in either direction, costs a fortune and I can’t be sure if anyone’ll be home for half the time. Much as I love trains – I went to London the other week, just for the day, and it was really lovely to just sit. I cast on a pair of stripy socks, and read a book. But I can’t afford the time much at the moment either. Final years are pains in the backside. Acknowledged fact.